Foot Locker has just launched thier latest commercial spot, which features James Harden disguising himself as Anthony Davis. 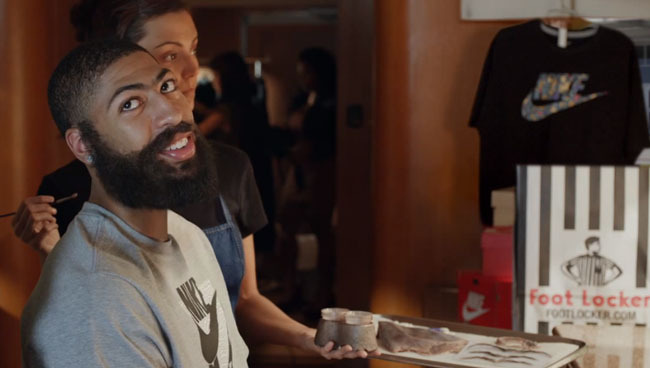 Foot Locker has just launched thier latest commercial spot, which features James Harden disguising himself as Anthony Davis - unibrow and all. As Harden prepares to hit Foot Locker in search of all the "fresh new gear" arriving in February, he decides to go as someone that "isn't famous." Check out the spot below, and let us know what you think in the comments.